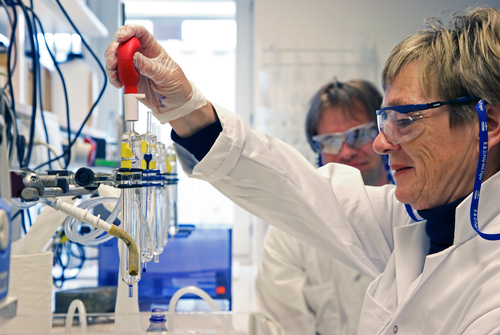 Global coatings firm AkzoNobel (Amsterdam) released its second quarter earnings on Tuesday (July 25), reporting an increase in revenue driven by Performance Coatings and Specialty Chemicals. The company, which broke the report down into both Q2 numbers and 2017 half-year numbers, said that revenue was up 2 percent in the quarter versus the same period as last year (3.78 billion euros—or $4.41 billion—versus 3.71 billion euros in 2016), and up 4 percent in regard the half-year mark (7.4 billion euros versus 7.1 billion euros in 2016). Global coatings firm AkzoNobel released its second quarter earnings on Tuesday, reporting an increase in revenue driven by Performance Coatings and Specialty Chemicals. CEO Thierry Vanlancker (pictured) spoke about the continued growth after a record first quarter. Earnings before interest and tax (EBIT) was down for the quarter from 491 million euros in 2016 to 461 million euros, a change the company says was impacted by “continued weak demand in Marine and Protective Coatings, higher raw material costs and planned maintenance turnarounds in Industrial Chemicals.” EBIT for the half-year mark, however, held fast at a 1 percent increase over the first half of 2016. “Following a record performance for AkzoNobel in the first quarter, we continued to see growth across all our business areas with the exception of challenging market conditions in the marine and oil and gas industries, and inflationary pressures which impact part of our business. Mitigation plans are in place and we will see the benefit of these later in the year,” said AkzoNobel CEO Thierry Vanlancker, who took the post just last week after former CEO Ton Büchner resigned. AkzoNobel noted that it expects growth momentum to carry EBIT for 2017 to around 100 million euros higher than 2016, assuming nothing major changes in the market. Revenue in the Decorative Paints segment was driven by strong volume growth, however that increase was partially offset by adverse prices, leading to revenue growth of just 1 percent in Q2 and an EBIT increase of 8 percent. The company noted that several product launches in key markets—including the Levis premium coating brand in China and the EasyCare brand in Brazil—had a favorable impact. AkzoNobel made a note to exclude the weak demand for Marine and Protective Coatings from its Performance Coatings summary. The Industrial and Powder Coatings business numbers were positive, however, allowing the segment to see an increase in Q2 revenue of 2 percent and second-quarter EBIT up 9 percent. The company also noted that its new production facility in Thailand and the expansion of an existing facility in Brazil should yield benefits to customers. It also noted that the acquisitions of Flexcrete Technologies Ltd., a U.K. manufacturer of products used for the protection and repair of concrete substrates; and Disa Technology, a French supplier of adhesive films used in the aerospace, transportation and industrial equipment sectors; should benefit the segment. 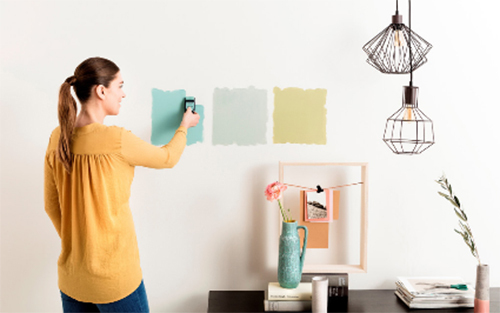 Revenue in the Decorative Paints segment was driven by strong volume growth, however that increase was partially offset by adverse prices, leading to a revenue growth of just 1 percent in Q2 and an EBIT increase of 8 percent. The Specialty Chemicals segment showed arguably the steadiest numbers in the company, with Q2 revenue up 4 percent and EBIT remaining flat. While the segment saw strong growth in markets in China, those increases were partly offset by raw materials costs and the impact of planned maintenance turnaround in Industrial Chemicals (the latter of which impacted Q2 EBIT by about 13 million euros). Also on Thursday, AkzoNobel announced a new structure for its Executive Committee and said it plans to convene an Extraordinary General Meeting of Shareholders. Chief Human Resources Officer (Marten Booisma). Werner Fuhrmann, who will return to AkzoNobel in the role of head of Specialty Chemicals. Vanlancker also made it a point to assure that the separation of the Specialty Chemicals segment into its own business is on track for April 2018. Vanlancker commented on the return of Fuhrmann, who retired from the Specialty Chemicals post in February when Vanlancker was chosen as his successor. To that end, Vanlancker also made it a point to assure that the separation of the Specialty Chemicals segment into its own business is on track for April 2018. Further explain and discuss AkzoNobel's response to the unsolicited and non-binding proposals made by PPG Industries. 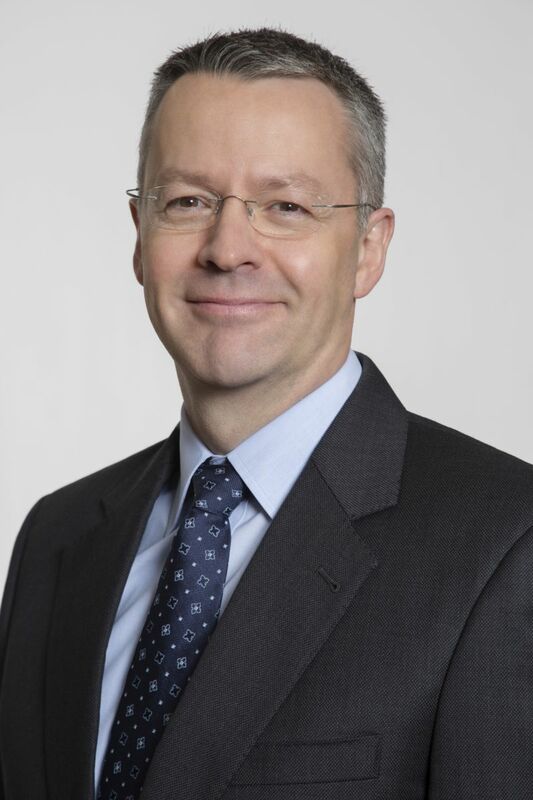 In addition to the dialogue that will be covered in the EGM, AkzoNobel created a Supervisory Board committee for shareholder relations with the goal to “strengthen and maintain a constructive dialogue with its shareholders.” Dave Mayhew, from JP Morgan Cazenove, was appointed as the advisor for shareholder relations. Burgmans also confirmed that he does plan to retire at the end of his tenure, which comes to a close in April 2018.